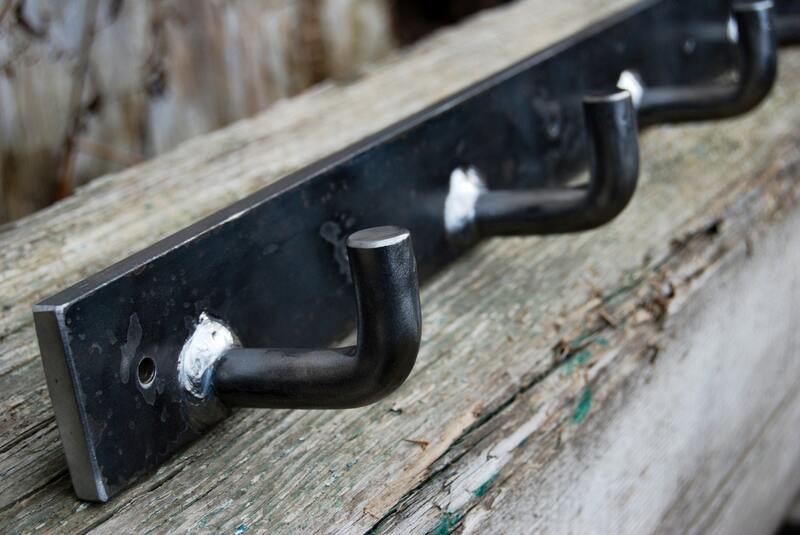 This multi hook bar is similar to the single welded steel hook offered by Kotaigrill, but with five bent steel hooks set at 6" centers. Great for hanging everything from key rings to heavy tools. Again, like the single hook model, this one comes with 1/4" diameter mounting holes; however, you are responsible for its safe mounting. 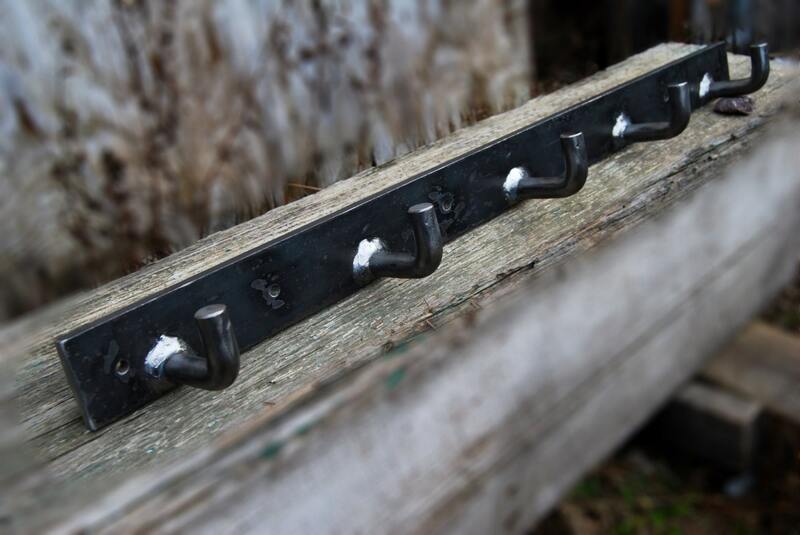 Each hook is capable of supporting hundreds of pounds, but it's more likely that the mounting fasteners you choose will fail long before any one of these hooks will.